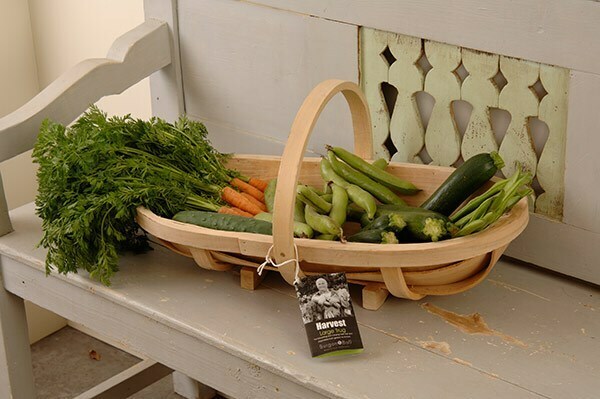 Perfect for harvesting and carrying fresh flowers, fruit and vegetables, transporting tools and more, this trug makes a charming addition to any garden. 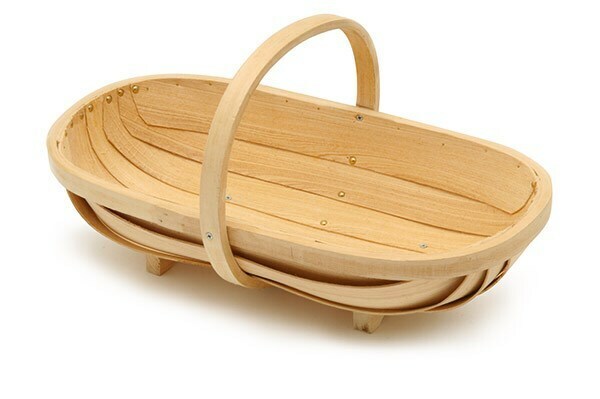 Expertly handmade from strips of shaped wood held in place with solid brass pins and screws, the trug is faithful to the traditional style and built to last. A garden essential that makes a great gift for any keen gardener. This true is beautifully made, strong enough to carry a heavy load of vegetables but really light when empty.